I like sandwiches. I like hot sandwiches more. I love paninis the best. And mushing up a grilled cheese sandwich on the stove top counts as panini to me. It was inspired by Matt who has a love affair with sandwiches. After a long conversation of philly cheese steaks and other sandwiches, i decided to make this for dinner. And I wanted to go at it in a grand way. I googled some ideas for it. usually, I would just use cheese, a bit of garlic for flavor, and that’s it. But no. First tip was to ensure that both sides are grilled. I didn’t usually do that, so I did. i buttered both sides to achieve this. Upon the first flip, I added my preferred fillings. 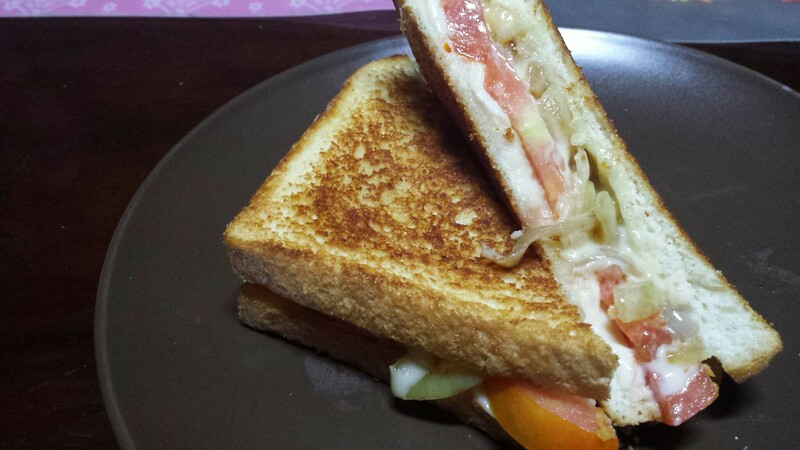 First is sliced melty cheese on one side, and mozzarella on the other. 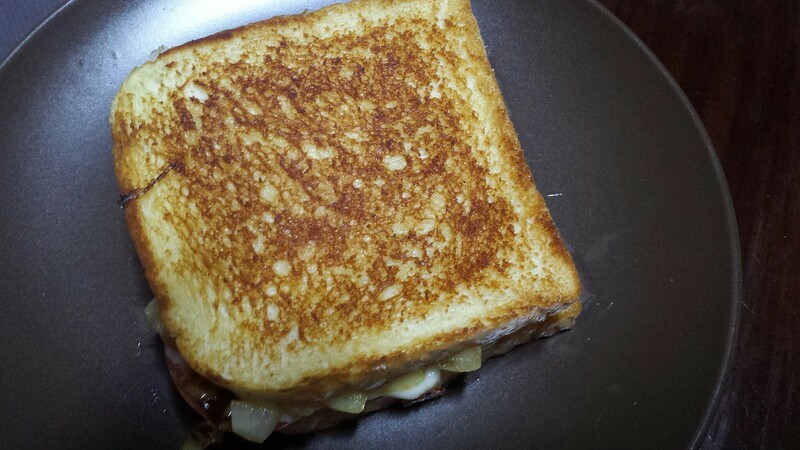 Then on the melty cheese side, I added caramelized onions. 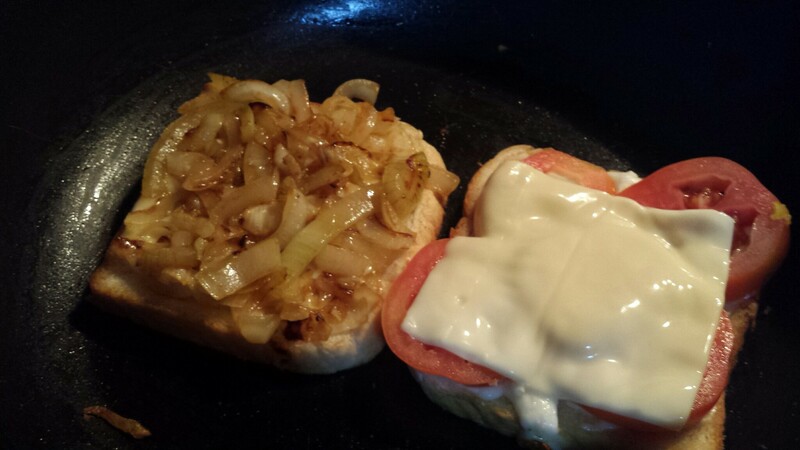 On the other side, I added sliced tomatoes, topped with more of the melty cheese. This was then allowed to all melt. 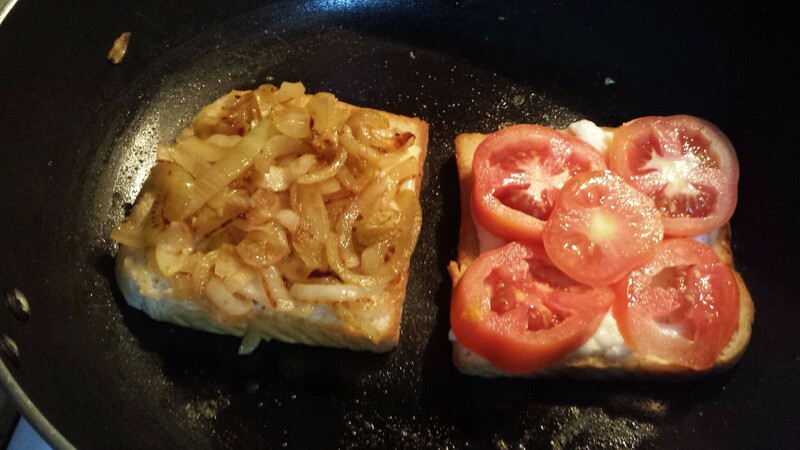 I then flipped the onion side on top of the tomato side and squished all of it together. It already looked promising. Yay. Look at that ooey goodness. On a plate, sliced diagonally, it looked so good. And every bite was totally worth it as well. I will have to do this again, and again, and again. I do forget that I like sandwiches of these kind. Totally worth it. Whoa that looks great. Makes me want to have one right now.